At ACRT Pacific, we know you deserve a partner who will be able to effectively communicate with your customers without damaging your reputation. Exceptional customer communications are a large part of ACRT Pacific’s services. We engage utility customers and members on your behalf to explain the importance and value of utility vegetation management (UVM) programs. This helps customers and members better understand the need for UVM as well as its benefits, making refusals far less likely. 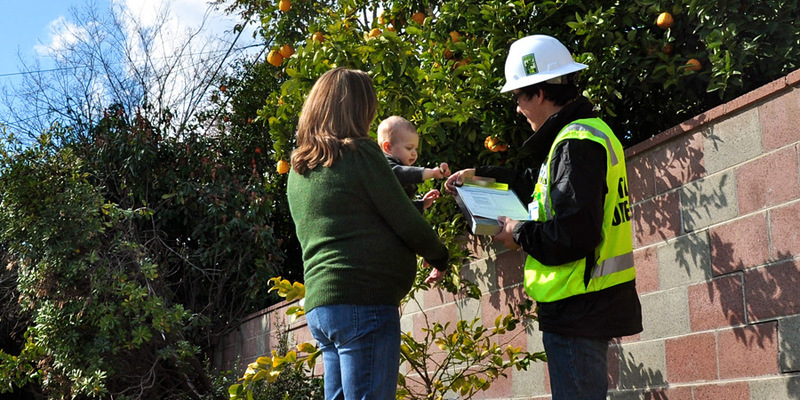 In the field, customer relations activities are conducted by our arborists, often simultaneously with Pre-Inspection. Our arborists will accurately answer customer questions, address concerns, and resolve potential conflicts. We can also create and operate call centers, organize and conduct town hall meetings, run newspaper announcements, and manage replanting programs. Whatever help you need in managing your customer notifications, ACRT Pacific can help utilities avoid potential UVM delays and maintain positive customer relationships.